In a Nutshell: When it comes to building a more secure financial future, a college education is the safest investment toward that goal. But choosing the right school is a big decision. Students and their families must consider a myriad of factors, and the more resources you have to help in the process, the better. CampusTours provides innovative, interactive virtual content on campuses around the country to help prospective students and their parents narrow their search. Through virtual maps, videos, and other resources, CampusTours helps users take a deep dive into particular campuses so they’re better informed when choosing which ones to tour in person, which can save money on unnecessary visits. It’s difficult to overstate the importance of investing in a college education. Most of the benefits should be obvious — improved job security and higher earnings potential being just two of the principal advantages. But a college degree can positively impact more peripheral aspects of people’s lives, too. For example, college graduates are reportedly more likely to own homes, be married for longer periods, be in better health, and live longer lives. No matter why someone decides to further their education, the first step is choosing a school that best suits their personal and financial needs. But this can be a daunting task with literally thousands of colleges and universities to choose from. Sure, plenty of information can be gleaned from websites, but there is certainly no substitute for visiting a campus in person. However, traveling to even a handful of campuses can be expensive and time-consuming. Narrowing down a list of favorites to visit is possible with basic online research, but the information offered on college and university websites is often biased. One third-party site, CampusTours, offers students and their families sneak previews of schools they’re interested in. Founded in 1997, CampusTours develops cutting-edge virtual tours and maps of most undergraduate colleges and universities around the country. “We are the central destination for virtual campus tours and interactive maps online,” said Chris Carson, President and Founder of CampusTours. By exploring CampusTours’ veritable trove of interactive content, the process of narrowing down a list of campuses to physically visit is both more accurate and fruitful for students and their families. Until recently, students were at the mercy of colleges’ official websites and printed materials when it came to researching schools. The information on these sites was often outdated, and the sites themselves didn’t put the user experience first in terms of design or content curation. As Carson points out, some of these issues still exist. For parents trying to help their children find the school that best suits their needs and interests, CampusTours provides intuitive, easy-to-use resources and insights. And let’s face it — it’s likely parents who are footing the bill to cover the costs of traveling to different campuses. CampusTours helps parents and their kids engage in comprehensive, interactive research to minimize the number of campuses they need to visit in person. 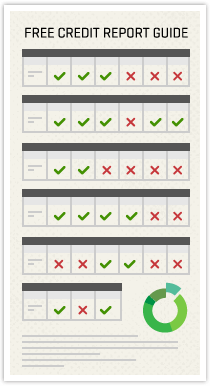 Another great aspect of CampusTours’ services is that they’re free. What’s more, you don’t have to log in or provide your email address to view them. 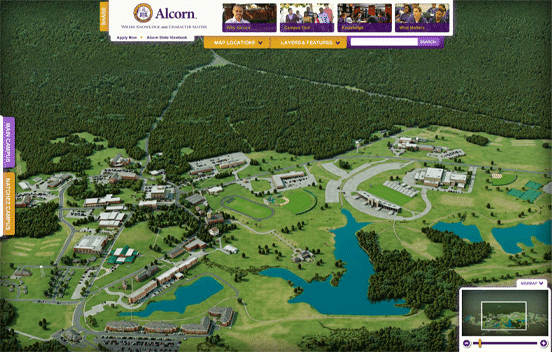 This virtual tour of Alcorn State is just one of the many available through the CampusTours site. Because it’s never too early to begin thinking about furthering one’s education, the time during middle school and high school present perfect opportunities for young students to begin looking at colleges. And CampusTours’ no-registration-required policy makes it easy for educators to give kids a personal, interactive look at what it’s like on university and college campuses across the country. Though augmented and virtual reality (AR and VR, respectively) technologies have been around for years, people have only recently begun to apply them more widely. The most accessible example of these technologies would be the popularity of Pokémon Go in 2016. This interactive game uses AR to overlay graphics on what players are actually seeing through their phones’ cameras. CampusTours has incorporated similar AR capabilities into some of its maps, giving users an immersive, truly interactive experience — especially when they’re visiting campuses in person. Once prospective students and their parents use the site’s interactive maps and tools to narrow down their lists of campuses to visit, they can take a stroll around a campus to a completely new level of user experience thanks to the AR features. A lot goes into deciding which college or university is right for someone. The decision extends beyond cost, geography, course offerings, and so on. The culture of the school and the community where it operates has as much to do with its identity and how much a person will fit in there. And it’s these non-verbal traits that CampusTours does such an excellent job of conveying through the content it curates. CampusTours’ offerings have been used and appreciated by more than 7 million students, and the site has received two Webby Awards — a recognition given by the International Academy of Digital Arts and Sciences for online excellence. Its most recent Webby nomination was for an interactive experience it created for Stevens Institute of Technology in Hoboken, New Jersey. Whether you’re looking to further your education or your child is about to take that step, CampusTours is an invaluable resource, ultimately removing a great deal of guesswork and saving money that you can put toward other expenses. Those books aren’t free, after all! Aaron Lay is a contributing writer for CardRates.com and BadCredit.org with over a decade’s worth of professional writing and editing experience. He’s passionate about making difficult financial topics and trends approachable and straightforward. He believes that everyone has a right to useful, uncomplicated information to better their lives. Away from the desk, he can be found rummaging through thrift store record crates and spending time outdoors with his family.